I’m so excited to share a gorgeous planner from Anchored Press with you today. Make sure to enter to win one of ten copies at the end of this post. 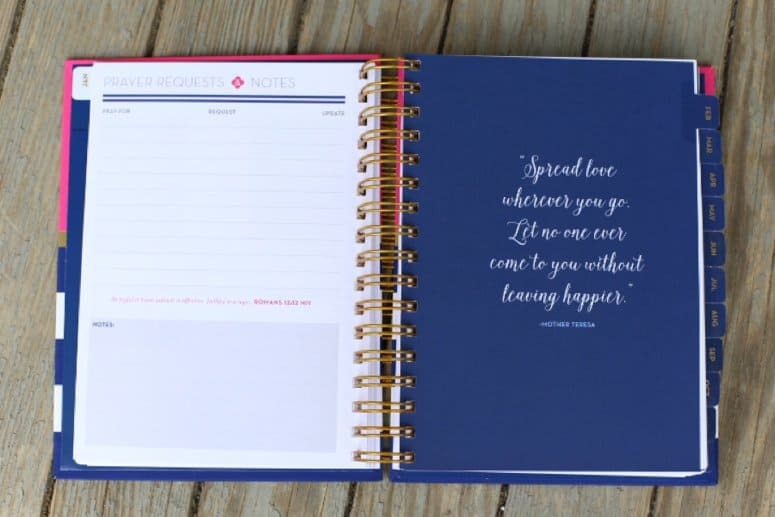 Not only is this planner gorgeous, but it is also full of encouragement. You’ll find places to record your prayer requests and to thank God for your blessings. You’ll find individual pages for weekdays, and a combined page for Saturday and Sunday. Daily pages include an hourly scheduler, top 4 to-do list, dinner plan & a spot to meet with God each day. Also included are two-page monthly overview pages. 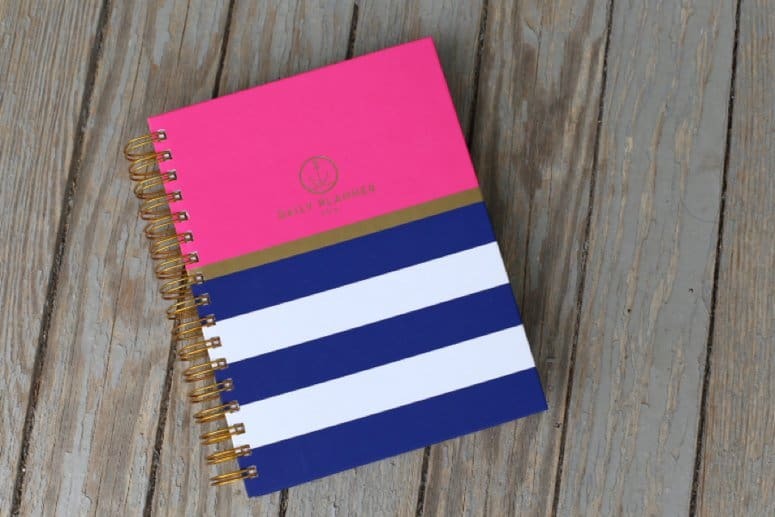 Other great details include a pocket on the front cover to keep loose papers and invitations, planning pages, and daily Bible verses and devotions. 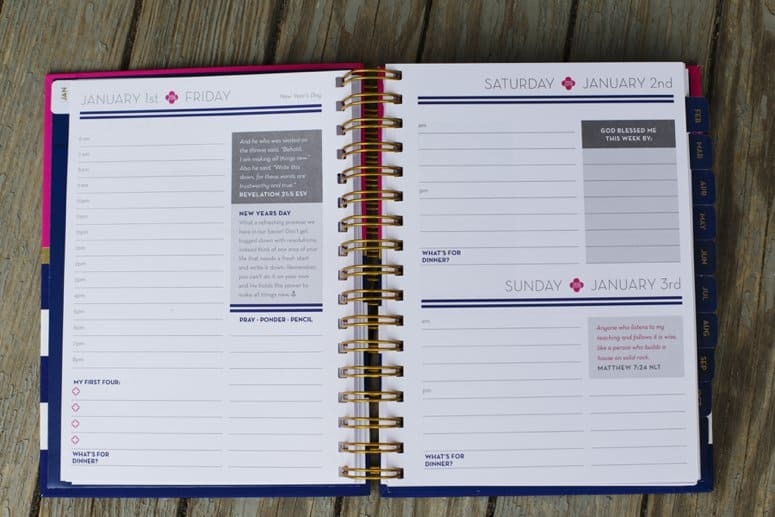 Anchored Press’ owner Deana created this planner to help women get anchored in God’s word and stay organized. Learn more here. I’m sharing the 2016 planner with you today, with half of the year left it will see plenty of use. If you don’t have a planner yet for this year, head over and grab your own copy- it’s on sale for 40% off! If you’re already using a 2016 planner, keep your eye out for the 2017 planner releasing in late August. 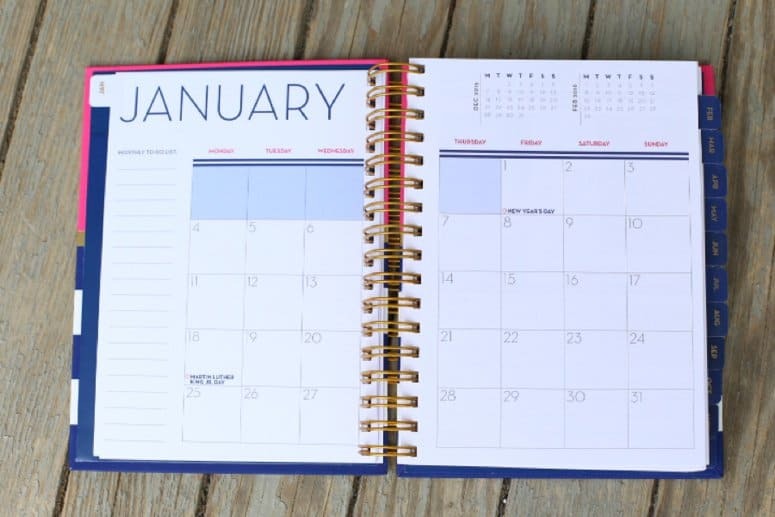 This year’s planner was so popular that next year’s line will offer even more options with 2 formats, more color options and even a separate prayer journals. 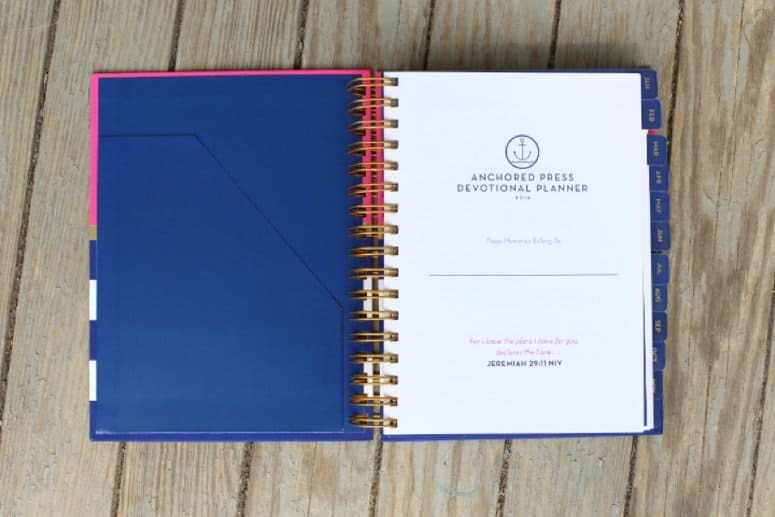 Enter you email for a chance to win 1 of 10 Anchored Press Planners!